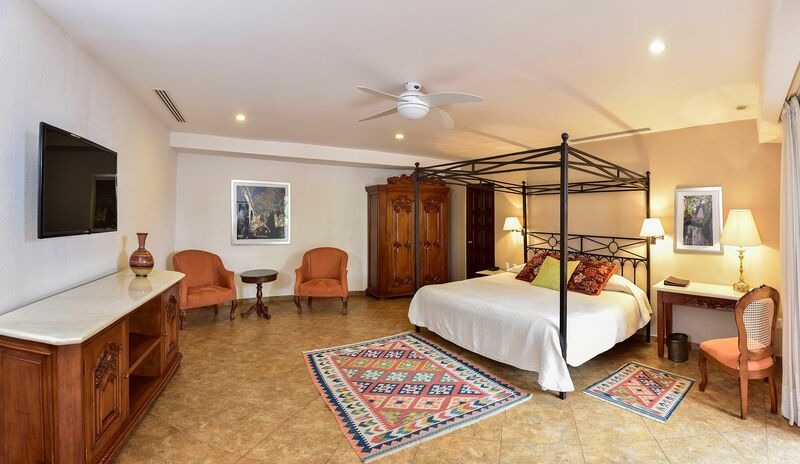 Our Jr. Suites are available with queen-size bed, two double beds, two single beds, or a Mexican colonial King-size bed, and with unique touches in each room – some with arched ceilings Catalan-style - that can be enjoyed in a quiet and harmonious atmosphere. They have views of the garden or of the Hacienda itself. Request a reservation at our restaurant and enjoy our exquisite dishes.